We love skiing. There. We said it! We’re also passionate about teaching others. Jackson Ski Touring offers a top-notch ski school where we’re proud to offer both private and group lessons led by PSIA certified instructors. 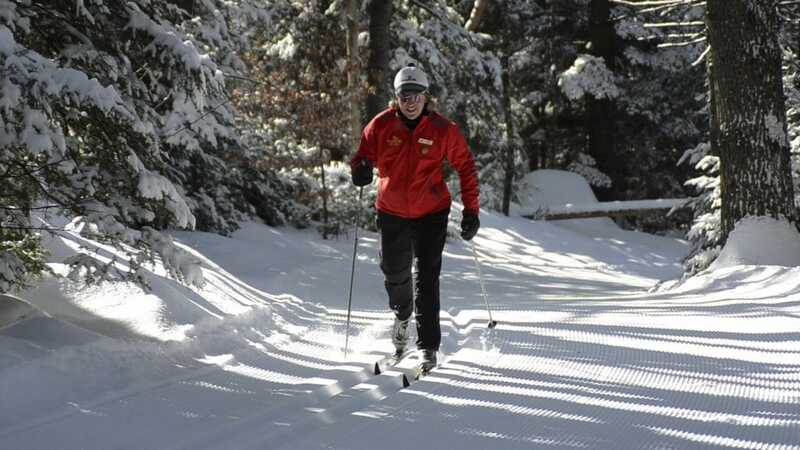 Whether you are a first time skier wanting to learn how to skate ski, or if you are looking to improve your techniques, your efficiency and endurance, we have the instructors with the skills to help you. You’ll be amazed at how fun becoming a better skier can be. Group lessons are available at the Jackson X-C Base Lodge. Group lessons are for ages 10 and up and cover the basics of the classic technique. We can customize a group lesson for you, your family and/or your group. Are you a couple wanting to learn how to skate ski? Sign up as a couple for $130 and cheer each other on! Private lessons are fully customized just for you. Our instructors design a lesson to meet your specific goals and abilities. Available for any age, classic or skate. Semi private lessons are fully customized just for you and a buddy by our instructors. Available for any age, classic or skate. Lesson times are 9AM, 2:30PM and an additional 1:15PM time on weekends, or by availability of instructor. Please call 603.383.9355 to arrange your lesson! Special money saving package for the person who really wants to get into cross country skiing. 4 lessons – Your first 2 lessons are group and your next 2 lessons are private to fine tune what you still need to work on. Lessons can be 4 consecutive days or spread out over the season. 4 days of our rental equipment including a chance to experience our amazing top of the line performance equipment during your 4th lesson. A Season Pass for the remainder of the season and a Certificate of Achievement upon the completion of your 4th lesson. This package has a total retail value of $385. Purchasing this package will save you $186! Imagine a series of three custom designed private lessons that will address your personal skiing needs and goals. These lessons are completely tailored to your need for fun, learning and experience. If you have been wishing/thinking that you could ski better, this is your ticket to excel. Would you like to look forward to skiing on hills? This clinic-style class teaches specific skills for controlling your skis and speed, and cornering. 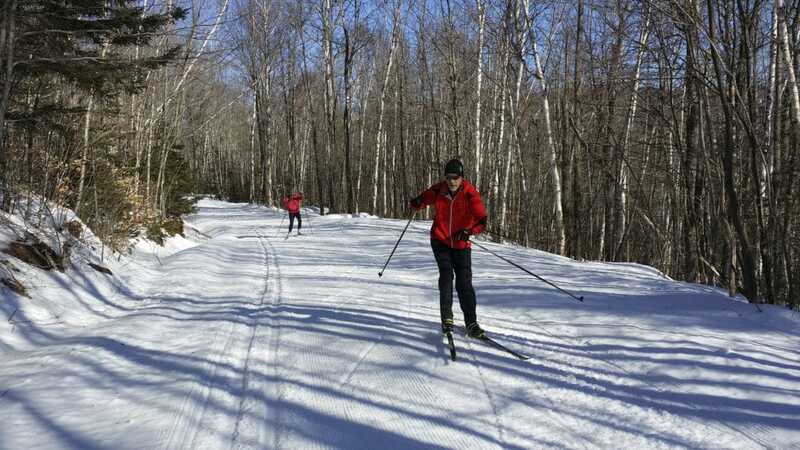 In addition to helping you ski down hills you will also learn hill climbing techniques that will make every outing better. 1 hr Skill Level: Beginner to Intermediate. *Be ready to go at 1pm, finishing up about 3pm. If you need to rent equipment it is available at an additional cost (click here for rates and options.) Bring water, trail snack, and appropriate attire.